The publication of uSwitch’s fastest and slowest broadband lines in the UK prompted some debate on Twitter and the various websites that followed the story. From the many comments it is clear that there is little agreement on what users can or should expect. In fact, a glance through the official confidential BT Wholesale FTTC Handbook shows that buying broadband in the UK is more like buying a pig in a poke than an engineered service. Compared to the marketing hype and disinformation around BT’s fibre to the cabinet (FTTC) product, the handbook is remarkably clear. The handbook used as the basis for this article was published in January 2011. Since then BT has doubled the frequency of the network, so the “up to 40Mbps” service is now, theoretically, an “up to 80Mbps” service. It may be that BT has updated the handbook in the light of the frequency change. If so, it should feel free to provide Br0kenTeleph0n3 with the update, and we would be happy to update the story below. However, there are constraints on the FTTC service that won’t change. These are important for users to know when they come to decide whether they are getting value for money and what to do about it. What follows is based on the January 2011 handbook, so please use your own judgment to adjust for the frequency change, or better still, ask your broadband provider what the position is for your service. Firstly BT will accept orders for service activation only if BT’s Broadband Availability Checker (BBAC) indicates the line will deliver a download line rate (ie from the street cabinet to your home) of at least 5Mbps. The standard product available to broadband providers is a 40/2 line rate. This is a “best effort” downstream flow of up to 40Mbps, with an “up to” 2Mbps upstream flow. Where the upstream line could perhaps run at more than 5Mbps, service providers have the choice to offer a 10Mbps upstream flow. i.e. a 40/10 service. Readers should be aware that there are mixed opinions as to the accuracy of the information produced by the BBAC. However, it determines what BT will offer the market. Where the BBAC indicates the maximum potential download speed is between 15 and 5Mbps, service providers can ask for the service to be discontinued (for free) if the “line rate”, also known as the “synch speed”, is continuously below 5Mbps for more than a quarter of a fortnight, ie 84 consecutive hours. 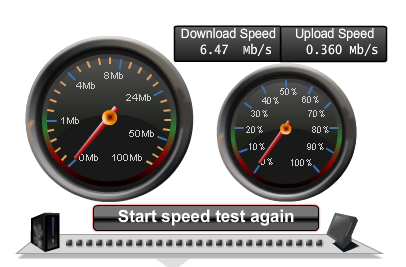 What speed am I really getting? Customers should be aware that there will be a difference between the line rate (line speed) and the throughput experienced end to end by the end user. Line rate/Line speed refers to the synchronisation speed negotiated between the VDSL router (in your home) and the street DSLAM (cabinet) that supplies the service. Throughput refers to the ability to pass data through the network at a given rate. This depends not only on the synch speed but also the available bandwidth between the end user and the source of the data through the BT Wholesale and service provider networks, and often the internet itself. 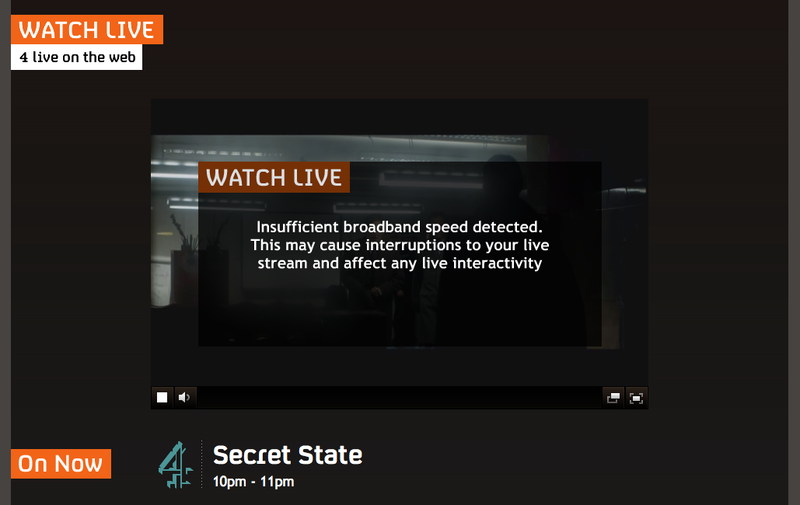 BT uses line speed as the threshold for accepting faults; users are more interested in throughput, because that determines how long they wait for their iPlayer movies to download, etc. BT warns, “The actual rates that can be supported on any individual line will be influenced by two main factors. Firstly the distance of the copper connection from the end user’s premises to the street cabinet, and secondly, the number of end users signed up and using the common cable (simultaneously) which will determine cross-talk noise impact. Either of these two factors may result in the end user experiencing a drop in the speed from what was originally achieved” (ie. the synch speed). Users on “standard” packages will get at least 12Mbps for 90% of the three hour “busy” period; users on a premium or “elevated” service will get at least 16Mbps for 90% of the busy period. Users whose synch speed is 5-15Mbps are treated a little differently. “Standard” package users will get “at least 70% of the value of their BRAS (Broadband Remote Access Server, of which there are 20 scattered around the country) profile for 90% of the busy period (ie 63% of synch speed), while users on “elevated” packages will get 80% of the value of their BRAS profile for 90% of the busy period (ie 72% of synch speed). Thus, for practical purposes, BT has a contractual commitment to deliver a broadband service with a line speed of just 3.15Mbps. Note that this may have changed to 6.3Mbps following the doubling of the nework frequency. Once the service is in, BT allows 10 days for the line to “stabilise”. It then sets a Fault Threshold Rate (FTR) at 5Mbps downstream for services provided at up to 15Mbps downstream and at 15Mbps downstream for faster services. The FTR is the line rate below BT will accept and investigate faults. FTTC services are not available to the 11% of households that are on “exchange only lines”. Lucky EoL homes may have direct access to BT’s Generic Ethernet Access (GEA) service for broadband. Transmission performance of some metallic local loops will mean that it is technically impractical to deliver the FTTC service to all end users within the serving area of an exchange (ignoring EoLs). The service may also affect the performance of some traditional customer premise equipment. Voice band modems used by fax machines and by personal computers may run slower. Some technical limitations within the BT network may not become apparent until after the service has been installed and working for some time. In such circumstances the service for some individual end users may need to be withdrawn. Downstream and upstream burst rates may be reduced by overbooking (ie congestion) within the BT network. The Economist Intelligence Unit, and to a lesser extent, Huawei, have lent their support to the House of Lords communications committee that excoriated the government’s desire to speed up broadband access to those who already have a decent enough service. The EIU document pours cold water on government dreams of vaulting the UK into hyperfast growth because some people will be able to download movies at 100Mbps. Which is basically what the lords said. The EIU report was sponsored by Huawei. It is somewhat ironic that Huawei should have paid for this conclusion. It is, after all, one of the main beneficiaries of BT’s £2.5bn commercial roll-out. BT’s plan will see two-thirds of homes get access to up to 80Mbps download speeds via a fibre to the cabinet (FTTC) infrastructure. Huawei also sponsored the conference, headed by communications minister Ed Vaizey, at which the EIU released the report. It must have made uncomfortable listening for the junior minister. Vaizey is still battling Brussels, which has so far refused to endorse BDUK’s framework for procuring next generation access networks outside BT’s “commercial footprint”. With BT and Virgin Media joining forces against Birmingham’s taxpayer-aided Superconnected Cities procurement of a 100Mbps metropolitan area network, there seems hardly an element of the government’s £1.3bn national broadband strategy that is not in trouble. It will take two to three years to resolve the BT/VM complaint, insiders say. That takes the UK pretty much into the next parliament. That gives BT and VM plenty of time to use their own money to consolidate their positions in urban areas. VM has no declared interest in expanding its footprint (in case it attracts an Ofcom requirement to provide ‘open access’ to its passive infrastructure), and BT can say today whether a street cabinet is inside or outside its commercial footprint. Rather than give the BDUK billion back to the Treasury, Vaizey should concentrate on getting next gen broadband to those who need it most – those in the Final Third – before the upcoming elections. Vaizey and his boss, Maria Miller, should be able to find a way to support the dozens of communities that are battling to get a service that neither BT and VM see as worth doing. If they are wondering where to start, try the applicants to Defra’s Rural Community Broadband Fund. Not only are they having to meet some very tough financial obligations, but they still have the passion for the job. Perhaps just cutting some red tape, and paying for some technical expertise to avoid ‘island’ networks could produce miracles in the countryside. Did I mention the upcoming elections?